Researchers Anderson and Harris once described Ménière’s disease as one of the most debilitating diseases experienced by people who survive any illness. As a former Ménière’s sufferer, Mark Knoblauch fully endorses that statement. For three years he was subjected to constant unsteadiness and dizziness along with unpredictable, violent attacks of vertigo. It took several visits to multiple physicians before he was finally diagnosed with Ménière’s disease, a relatively obscure condition of the inner ear known to wreak havoc on an individual’s balance and equilibrium. Once diagnosed, Mark was able to adopt a relatively simple lifestyle change that effectively eliminated his symptoms. In the years since adopting this lifestyle change he has not only remained almost symptom-free but has used his newfound health to successfully complete multiple marathons and even become an Ironman. 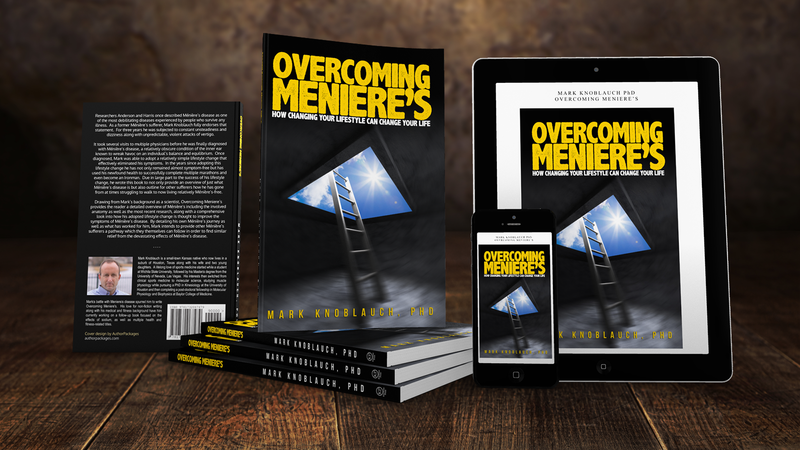 Due in large part to the success of his lifestyle change, he wrote this book to not only provide an overview of just what Ménière’s disease is but also outline for other sufferers how he has gone from at times struggling to walk to now living relatively Ménière’s-free. 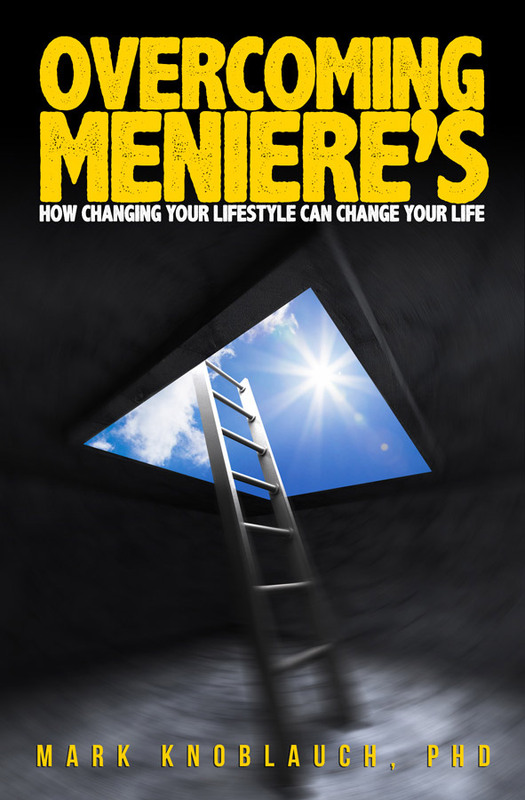 Drawing from Mark’s background as a scientist, Overcoming Ménière’s provides the reader a detailed overview of Ménière’s including the involved anatomy as well as the most recent research, along with a comprehensive look into how his adopted lifestyle change is thought to improve the symptoms of Ménière’s disease. 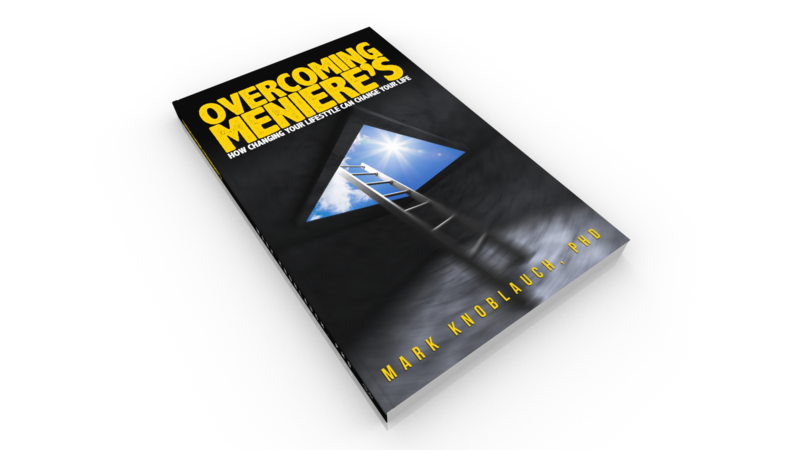 By detailing his own Ménière’s journey as well as what has worked for him, Mark intends to provide other Ménière’s sufferers a pathway which they themselves can follow in order to find similar relief from the devastating effects of Ménière’s disease.